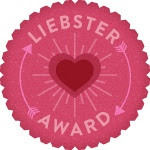 questions/answers from the last liester award i received. answer the 11 that i have been tagged to answer. You aren't allowed to tag back ! What is your favourite makeup product of all time? What are your favourite and least favourite kind of blog posts to read? If you won £1000, what would you do with it any plans for the summer? 1.London or New york ? 2.What really annoys you ? 3.What is your favourite colour ? 4. Have you any serect talents ? 5. What was your favourite subject at school ? 6. What item of clothing do you love wearing ? 7.What does fashion mean to you ? 8.How would you define your city's fashion ? 9.What are some of your favourite clothing stores/catalogues/websites ? 10.Where do you get your inspiration for your blog ? Thanks for doing it<3 I really liked your answers! Thanks a lot for your nomination I am so flattered!